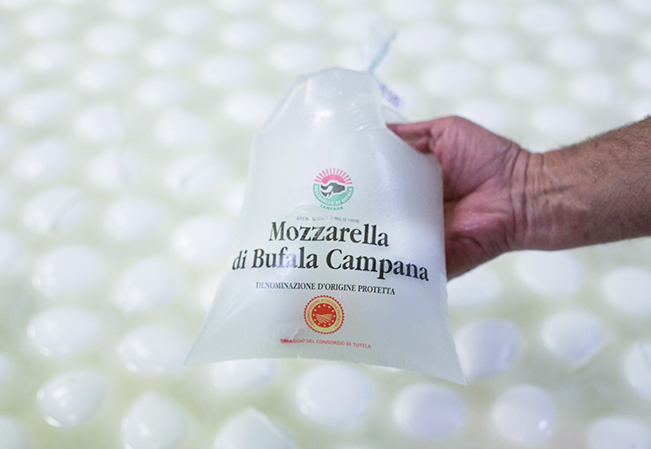 The Mozzarella di Bufala Campana is the only mozzarella which obtained and retain the PDO (Protected Designation of Origin) European designation. 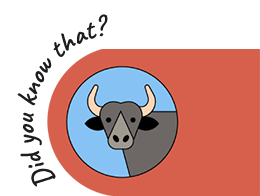 Mozzarella PDO is produced using exclusively fresh whole buffalo milk, from breeding farms located in the certified area. 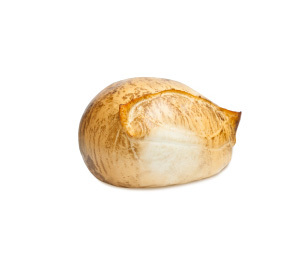 The Protected Designation of Origin mark identifies the organoleptic and product characteristics of cheese typical to the buffalo mozzarella from Campania, derived from specific environmental conditions and traditional processing methods, existing only in this specific production area. Only dairies that pass the demanding certification process can obtain the PDO mark. Subsequently, these companies are constantly monitored and analysed to ensure compliance with the specification and the high quality standards of the product. The term “mozzarella” comes from the Italian verb “mozzare”, an operation still practiced today in all the dairies, consisting in forging by hand the piece of filata curd, detaching the single mozzarella balls with the the forefinger and thumb. This is how you get the typical round shape of the mozzarella. In order to enjoy its characteristic flavour at its best, it is advisable to eat the mozzarella on the same day of buying it. If not eaten immediately, it is best to keep it in a cool environment (10° ÷ 15°C) but still immersed in its own liquid. 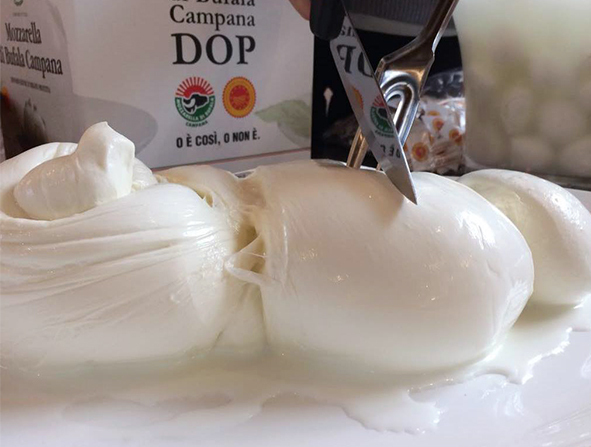 HOW TO RECOGNIZE THE MOZZARELLA DI BUFALA CAMPANA PDO? According to law D.l.vo 109/92, art. 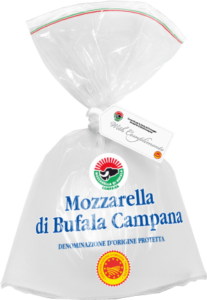 23, the PDO Mozzarella di Bufala Campana cheese must be sold only if pre-packaged at the origin (heat-sealed bags, trays, glass, etc.). • authorization number of the dairy (AUT. CONSORZIO TUTELA N. 000/00/0000). All the mozzarellas on the market with packaging bearing the denomination “Mozzarella di Bufala”, “Mozzarella bufalina”, etc., are NOT PDO certified and these denominations are NOT allowed by law. If the packaging is a knotted envelope, there must be a warranty seal over the knot, affixed by the manufacturer. 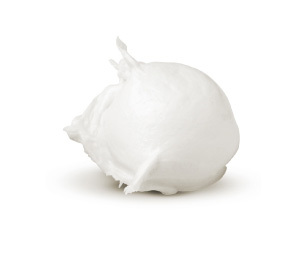 The mozzarella packaged without a seal could easily be replaced with a non-PDO mozzarella. In order to enjoy its characteristic flavour at its best, it is advisable to eat the mozzarella on the same day of buying it. If not eaten immediately, it is best to keep it in a cool environment (10° ÷ 15°C) but still immersed in its own liquid. The porcelain white, the smooth surface, the initially elastic consistency which then becomes softer, are essential characteristics of its appearance. Once cut, there is a whitish serosity spill with the aroma of lactic ferments. 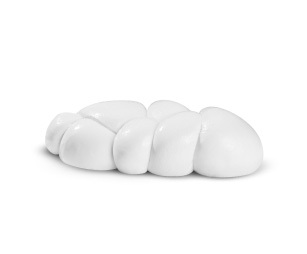 The taste of a Mozzarella di Bufala PDO is always distinct, but at the same time delicate. In addition to the rounded shape, which starts from 10 grams (bead, cherry, bocconcino), our offer includes different types, such as knots and braids, up to a weight of 3 kilograms. Recently, UNESCO has included in the lists of the cultural heritage of humanity the Mediterranean Diet, as a lifestyle and nutritional model. This diet is based mainly on the consumption of plant origin food, flanked by products of animal origin, especially milk and cheese. Mozzarella, the most famous among Italian dairy products, is an integral part of the Mediterranean diet, both because it is an expression of the bond with the territory of origin, and because of its nutritional peculiarities. If stored in the fridge, before consuming it, leave it at room temperature for at least one hour; otherwise immerse the package, for about 5 minutes, in hot water (35°/40°C). 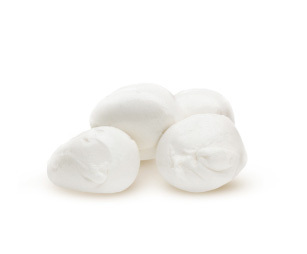 The Mozzarella di Bufala Campana is an easily digestible cheese, with a reduced content of lactose and cholesterol. It is an excellent source of high biological value proteins, accompanied by a moderate intake of fats. In addition, cheese provides high amounts of calcium, phosphorus and water-soluble vitamins such as B1, B2, B6 and Niacin. countering the negative action of free radicals. The decidedly low intake of sodium makes it preferable to regular cow mozzarella and other types of cheese, notoriously rich in this mineral, especially in all those pathological situations that require the restriction of this mineral (hypertension).